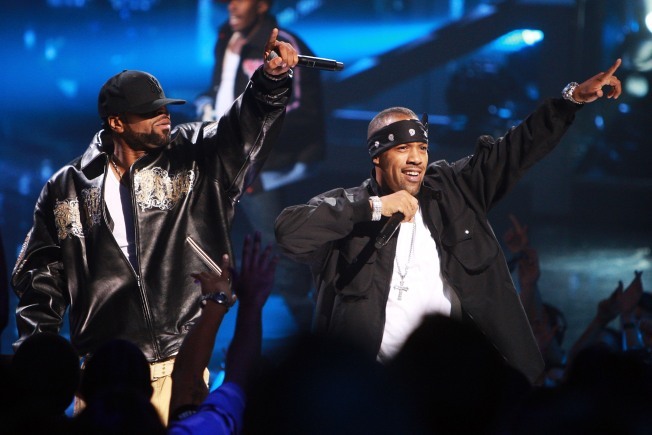 Method Man and Redman headline Rock The Bells on August 25 at Shoreline. Midnight Star ruled '80s dance floors with electro-funk hits like "No Parking on the Dance Floor," "Operator," and "Freak-A-Zoid," and has been reunited for the past decade, though live appearances are infrequent. Dust off those gold lamé suits and Jheri curls as the band makes a rare appearance on August 24-25 at Yoshi's San Francisco club. The apple never falls too far from the tree, and thus it is worth mentioning a forthcoming concert from the likes of Hank 3, grandson of Hank Williams and son of Hank Williams, Jr. and a neat amalgamation of his family's country and Southern rock roots with his own distinctive punk edge. Catch Williams as he furthers the musical legacy on August 24 at Regency Ballroom. The annual live hip-hop festival Rock The Bells, which began in Southern California, returns to the Bay Area for the fifth time on August 25-26 at Shoreline Ampitheater. The lineup reflects several generations, as does the wide age range in attendance. This makes for one of the year's most well-rounded experiences in the genre, or at least a mighty efficient one-stop shop. Attendees can experience the latest buzzed-about artists such as New York's A$AP Rocky, North Carolina's J. Cole, and Atlanta's 2 Chainz alongside veterans in the game such as Ice Cube, festival favorite Nas, and Big Daddy Kane, just to name a few of the people on each day's ambitious 10-plus hour schedule. Previous installments of Rock The Bells have featured full albums performed live but this year's format is more freeform, leaving much more room for surprises.